Communication between doctors, nurses, and other members is vital in today’s high-tech, high-stress health care system. According to one study from the National Center for Biotechnology Information (NCBI), a patient may interact with 50 different healthcare providers during a four-day hospital stay, including doctors, nurses, and technicians and so on. Effective communication and team collaboration are essential. When doctors are not in communication with nursing staff or each other, patient safety is at risk. The sad reality is that healthcare providers don’t talk to each other as much as they should. They don’t spend enough time talking to each other about the patient’s needs or communicating with the patient. According to a report from the Joint Commissions, cited by the Agency for Healthcare Research and Quality (AHRQ), communication failures are the cause of 70% of sentinel events. 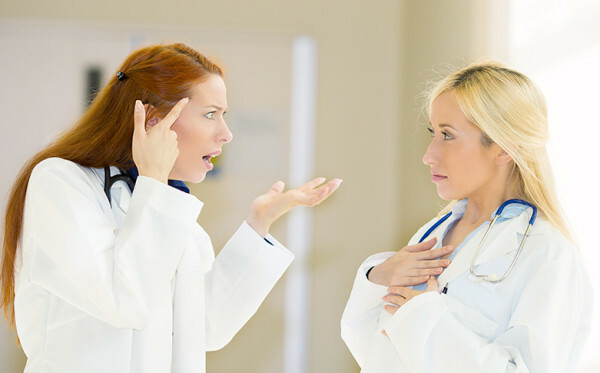 Another report from the National Council of State Boards of Nursing, cited by NCBI shows that nurses mention communication problems with doctors as one of the two most highly contributing factors to patient care errors. The increasingly complex needs of patients and the constant changes in the healthcare system created an environment that can only work properly through effective communication. So, why is the level of collaboration still low between healthcare professionals? There are many factors that make effective communication in the healthcare system challenging. For starters, healthcare professionals tend to work independently, even though they consider themselves as part of a group. As a result, they often have their own understanding of what a patient needs. The hierarchical structure of nurse-doctor relationship, which has been based on education and gender, is also a leading factor in conflicts and lack of collaboration. A Study by the Institute for Safe Medication Practices reflects that intimidation is one of the major causes of medication error. The study showed that half of the responded said they felt pressured into giving a medication at some point in their careers, but they were too intimidated by the doctors to voice their concerns. Differences in education and training are another factor that can lead to a lack of communication. Doctors get no education in working with nurses and vice versa, but they are put in a highly stressful environment and expected to work together well.